March 2017 started on a wonderful note for Digital Rights Foundation, with Internet Freedom Festival scheduled in the first week of the month. The activities kept escalating for the team, from Open Government Partnership Consultation event scheduled in the mid of March, to Universal Periodic Review (UPR) Submission by DRF, Submission for the report of UN Secretary General on the safety of journalists on the issue of impunity, submission to UN Office of the High Commission of Human Rights on the situation of Digital Gender Divide in Pakistan, RightsCon Summit during the end of the month, Women's Day campaign, and events and seminars conducted and attended by the team throughout the month. Here's a compilation of all that kept us busy this past month. 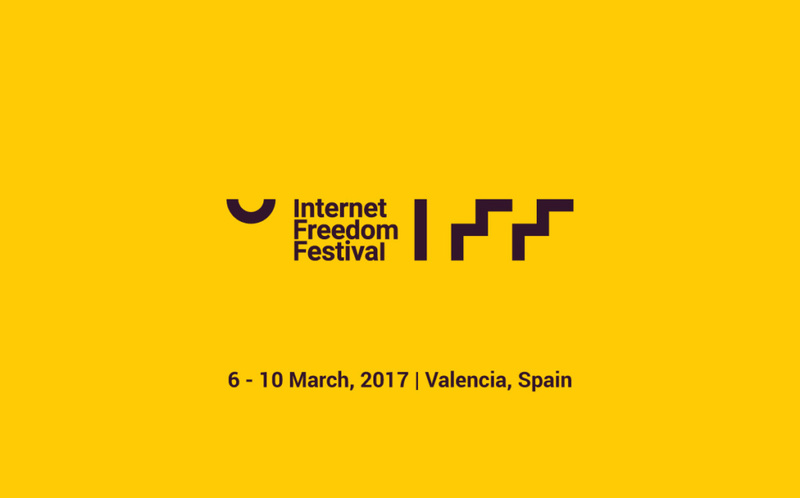 Digital Rights Foundation participated in the Internet Freedom Festival (2017) held from March 6th to March 10th in Valencia, Spain. The event was a convergence of internet freedom activists from around the world bringing together their varied experiences and perspectives. DRF hosted several panels at the event, ranging from topics such as “Surveillance from the Margins: Different Experiences of Surveillance”, online harassment with “Taking Matters into Our Hands: Addressing Online Harassment” to “Data protection law and is different manifestations”. Here are the details of the sessions hosted by DRF at IFF. DRF participated in an event hosted by Democracy Reporting International (DRI) on March 22, 2017 in Islamabad. The panel discussion was a mix of members from civil society, elections experts and Parliamentarians: hosted by Hassan Nasir Mirbahar of DRI and the speakers were Vladimir Pran (Elections Expert, DRI), Dr. Fouzia Hameed (MNA, MQM), Rashid Chaudry (FAFEN), Shabbir Ahmed Director (IFES), Naeema Kishwar Khan (JUI-F) and Shmyla Khan representing Digital Rights Foundation. 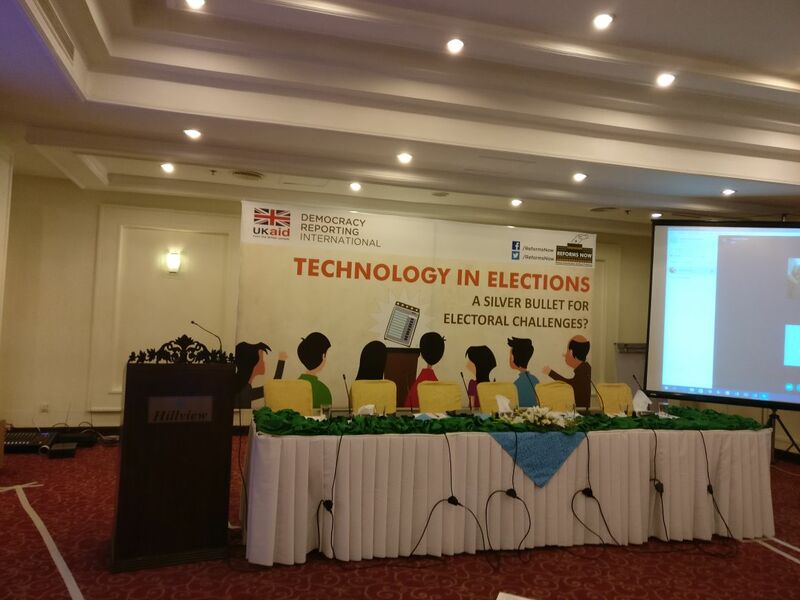 The discussion delved into the issues of technology in the electoral process; the use of Electronic Voting Machines (EVMs), biometric verification systems and a results management system through the prism of transparency, efficiency, cyber security and voter confidentiality. 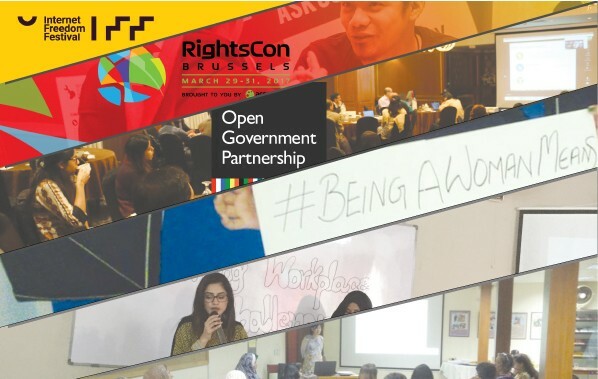 Digital Rights Foundation hosted four sessions at the RightsCon Summit 2017 held from March 29th to March 31st (and Day 0 on March 28th) in Brussels, Belgium. The conference is the world's leading event dedicated towards digital rights and brings together digital rights activists, journalists, policy makers, corporate personnel to discuss the future of the internet. DRF hosted panels ranging from topics such as “Surveillance and Privacy from the Margins”, online harassment with “Taking Matters into Our Hands: Addressing Online Harassment” and "Harassment Goes Deadly: the Global North vs Global South", and the future of the open internet with “Net Neutrality and its Future in the Developing World". 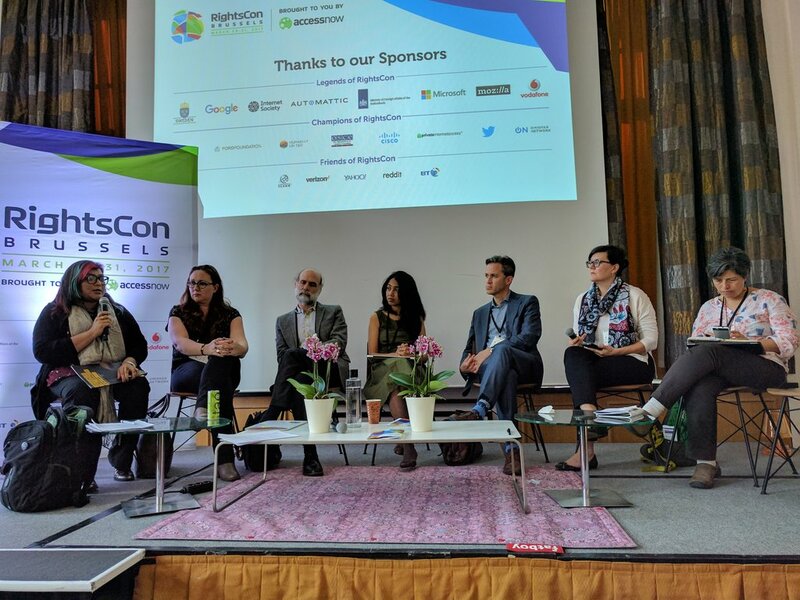 Here's a detailed post on what all was said and done at RightsCon. This month was also a productive one in terms of DRF’s international contributions. Digital Rights Foundation has made submissions to the UNSG report on the Safety of Journalists, United Nations High Commissioner for Human Rights report on ways to bridge Digital Gender Divide (DGD) from a human rights perspective and the Universal Periodic Review for Pakistan 2017 on the topic of “Gender rights in Pakistan: Online violence, free speech and access to information”. We look forward to having these submissions make their mark in the subsequent reports. The Open Government Partnership (OGP) Consultation was held in Lahore on March 15, 2017. 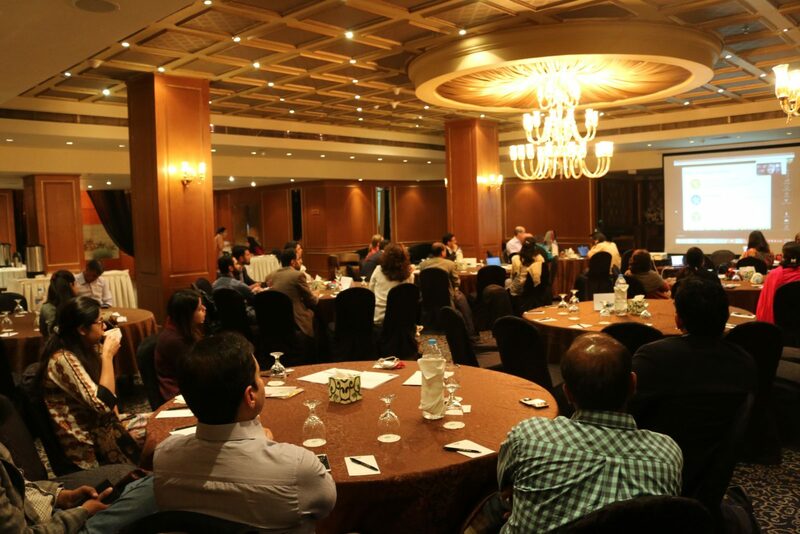 The event was hosted by Open Society Foundations, Digital Rights Foundation, Punjab Information Commission and Punjab Lok Sujag. The event was a multi-stakeholder initiative that brought together members of civil society, the business community and government together on issues of open government, transparency and accountability. The discussion revolved around the themes of fiscal transparency, access to information, citizen engagement/public service delivery, use of digital, access to justice, strengthening accountability (government integrity/anti-corruption/asset disclosure) and improving business environment. The discussion urged the government towards more proactive disclosure of information, effective accountability mechanisms and more transparent budgeting. Speakers at the event were Nighat Dad (Executive Director, Digital Rights Foundation), Shreya Basu (Regional Civil Society Coordinator for Asia Pacific, Open Government Partnership) and Natalia Tariq (Program Officer, Open Society Foundation, Pakistan). International Women’s Day is celebrated throughout the world on March 8th. 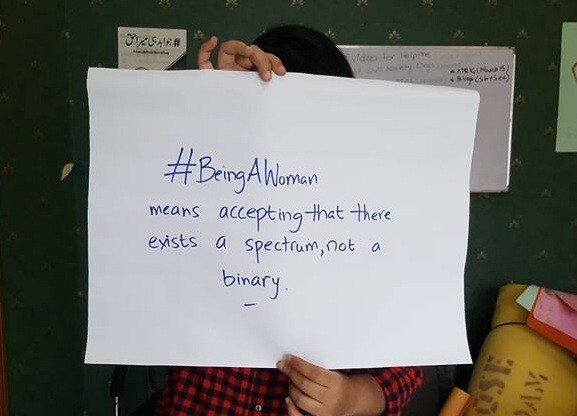 This year, on account of this day DRF started a social media campaign with the hashtag #BeingAWomanMeans. Women from across Pakistan participated in the campaign and held out charts expressing what it meant for them to be a woman. Team DRF visited Emporium Mall Lahore to ask women to participate in the campaign and start a conversation on the many and diverse aspects that they believe means to be a woman. The campaign also gained traction online and created quite the buzz. On March 16, Hija Kamran represented Digital Rights Foundation at a seminar on Online Harassment conducted by NED University's Humanities department in Karachi. During the session, Hija talked to the students about online violence and many effects of the experience on the survivor/victim, including social, psychological, and emotional impact. She also talked about the Cyber Harassment Helpline that DRF launched in 2016; the need for the collective efforts towards countering online harassment, what are the mechanisms of reporting cyber harassment to LEAs, the laws around cybercrimes in Pakistan, and other importing factors to deal with the said harassment. 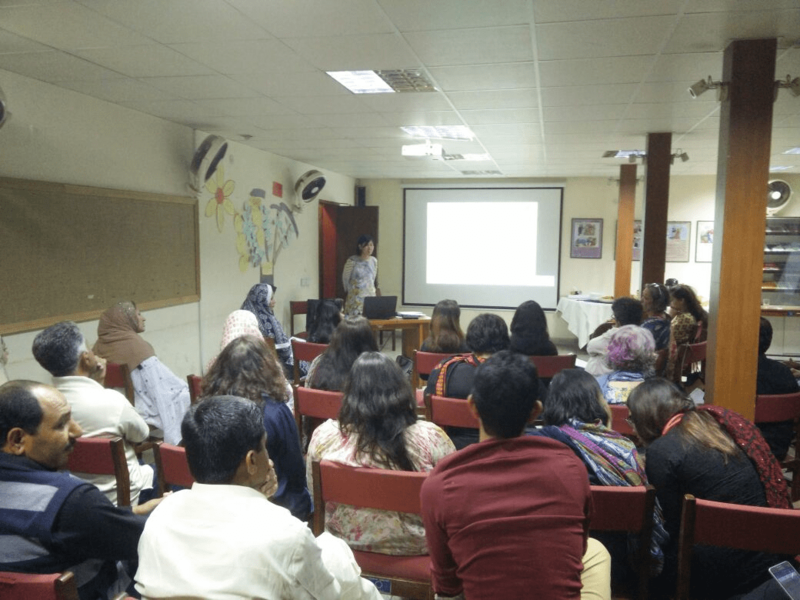 On March 22nd, Shirkat Gah - Women’s Resource Center hosted a seminar on Online Violence and Engendering Digital Equality by International Human Rights Lawyer Ms Zarizana Abdul Aziz. DRF was the respondent at the event. Zarizana discussed the aspect of violence against women in detail and talked about the implications of the online world in the offline life. She covered topics like freedom of expression of women, consent and privacy. The audience was very interactive and there were a lot of discussions regarding different privacy and consent related issues the members had personally faced. Fatima A. Athar and Jannat Fazal represented DRF and talked about the stigma surrounding women’s privacy issues, and discussed how and why it is so difficult for women to make their voices heard when it comes to violence against them. They talked about the DRF helpline and various practices that need to be adopted in routine life to safeguard from violence against women in online and offline spaces and privacy concerns. The Islamabad High Court has taken up a case regarding anti-Islamic material in online spaces by directing the Interior Minister, Ministry of Information Technology and Federal Investigation Authorities to take measures against such speech. The IHC ordered the Interior Ministry that if need be the entire social media should be blocked and strong action must be taken against anyone who is committing these crimes. The bench stated that due to these blasphemous posts being present online there are likely to be more cases like Mumtaz Qadri in which vigilantes take laws into their own hands. 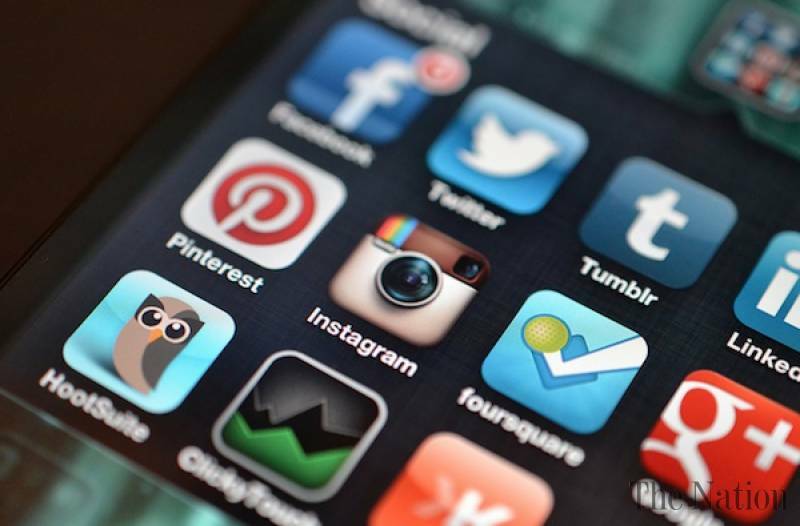 This has sparked a larger legal debate regarding social media websites and the responsibilities of these companies. As an extension of this, the government has threatened to block all social media websites if they don’t respond. Facebook has agreed to send a team to Pakistan to consult with the government--raising concerns regarding online speech. The FIA has become quite active as well, it currently running television ads regarding the limits of free speech and three people have been arrested under charges of blasphemous content on the internet. Censorship of electronic media was also a highlight this month. PEMRA has also been quite active around censorship of content on electronic media. DAWN TV’s program “Zara Hut Kay” was taken off air for three days for comments against a sitting judge at the IHC. 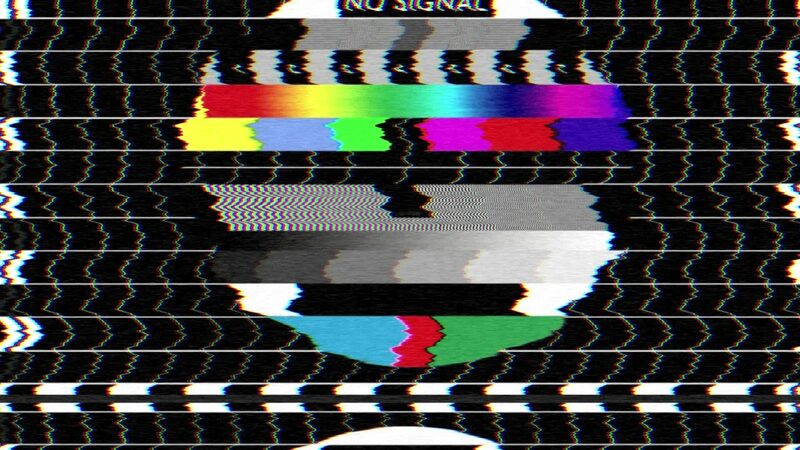 The morning show GEO Pakistan has been suspended for five days for broadcasting “indecent content”. Furthermore, HUM TV was fined been fined Rs. 1 million for airing the episode by the title of “Chew Gum” for its drama series “Kitni Girhein Baqi Hein”.